Concrete stem walls being poured in preparation for backfill and slab. Image Credit: All photos: Carl Seville Foundation walls were filled with aggregate made of recycled crushed concrete. Workers installed 1-inch XPS foam vertically at the edge of slab; they also installed a 24-inch-wide strip of horizontal 1-inch XPS at the slab perimeter, before the polyethylene and steel were placed. The foundation is ready for the slab pour. The insulation, poly, and steel are in place. The Polyguard Term termite barrier is being applied under the wall plates. The remainder of the floor will be covered after the house is dried in. 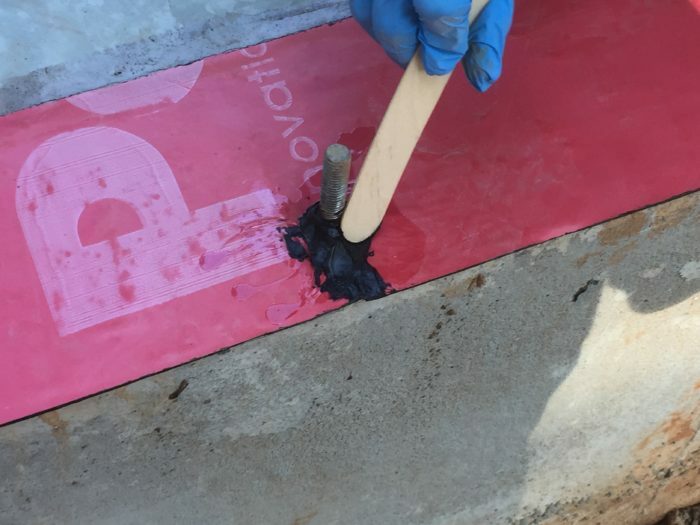 Caulk-type sealant is applied around holes in the Term barrier to make it a continuous termite barrier. Carl Seville and his wife are building themselves a new home in Decatur, Georgia. The first blog in this series was titled The Third Time’s the Charm. Links to all of the blogs in this series can be found in the “Related Articles” sidebar below. Even when I was a contractor, I never liked grading and foundation work. 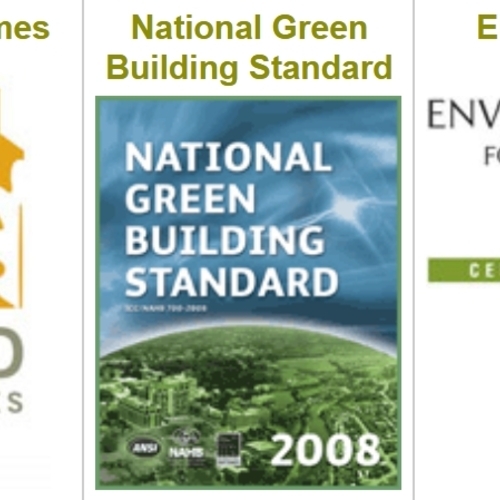 Most of my work was remodeling, and I preferred working with an existing building from which I had a point of reference. Blank slates can sometimes leave me a bit paralyzed with indecision. Luckily, a contractor/architect friend was available and willing to help me with my current project, serving as a part-time project manager. 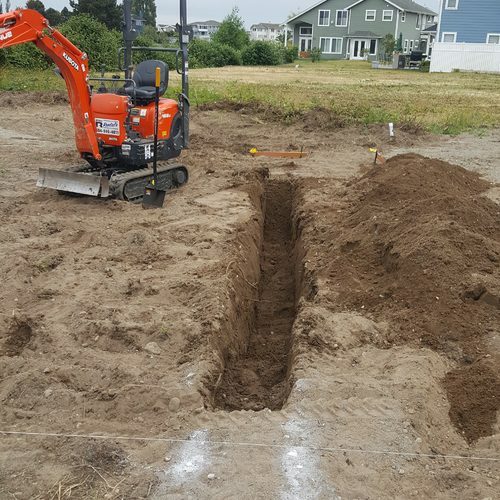 He did a great job finding the foundation crew, and given the amount of rain we have had recently, got the foundations in reasonably quickly. 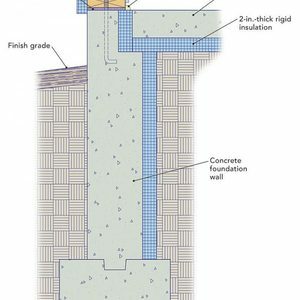 The main house foundation consists of stem walls ranging from 2 to 3 feet high, filled with recycled crushed concrete aggregate, with a slab on top. I’m not a big fan of crawl spaces, and in this case, I would have had to excavate well below the existing grade to have adequate clearance. This would have required a major waterproofing effort as well as installation of a dehumidifier to condition the space. The slab option looked a lot better to me. The first week or so, the site was a bit of a mess, making it close to impossible to get to my existing house at the back of the lot. The path included piles of rock and puddles of mud. I avoided any twisted ankles but did ruin several pair of shoes going back and forth. Luckily the foundation crew was able to clean up the site and give me a nice smooth gravel path to my front door. 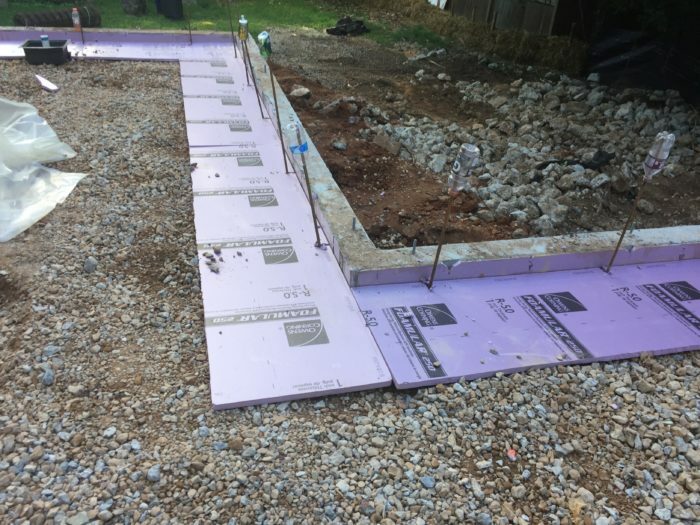 I installed Owens Corning 1-inch XPS board around the perimeter of the slab and below the slab, 24 inches wide around the perimeter. This should give me all the insulation I need in Climate Zone 3, where it rarely gets very cold. The next step was to start installing the termite barrier. (Along with this mild climate comes a big termite risk.) For flooring, I plan to install solid wood, finished-in-place flooring on most of the first floor (as well as the entire upper level). My research showed that the best plan is to nail ¾-inch plywood to the slab, then install the wood on top of that. Not wanting to wake up to swarming termites someday, I looked at options for managing these pests. I looked into the stainless-steel underslab barriers and diatomatious earth layers, but was unsuccessful finding installers or even available products. I finally settled on using Term by Polyguard. 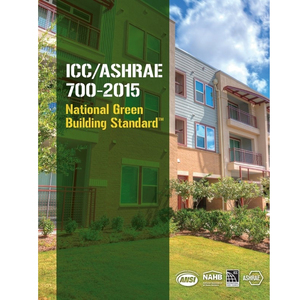 Their physical termite barrier system consists of a combination of sheet materials and sealants. It looks like a typical peel-and-stick self-sealing membrane; however, the manufacturer includes a proprietary chemical that is designed to repel termites. 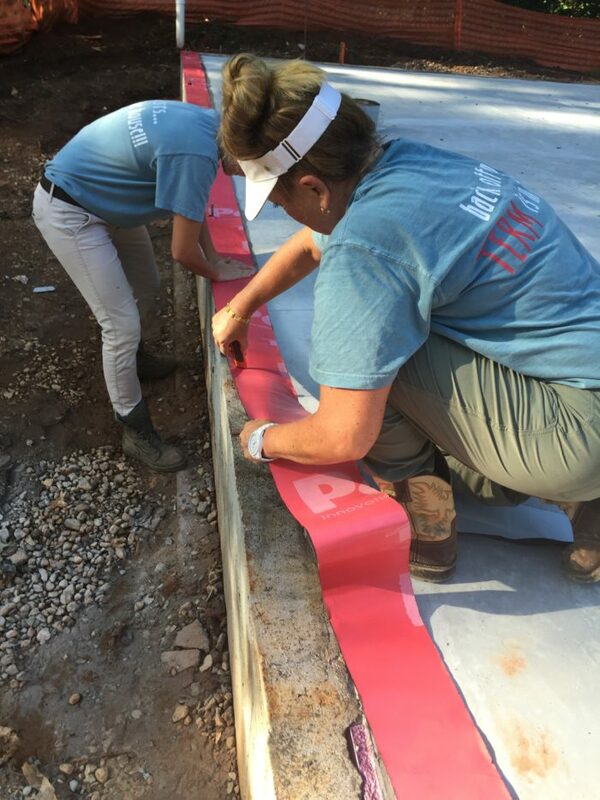 Big thanks to Polyguard who sent two of their team members to the site to assist with the installation. In short order, the three of us installed their membrane where all the walls will be on the slab, priming the slab before applying the self-stick membrane. Gaps around bolts and pipes were filled with their matching sealant, completing the first phase of the installation. 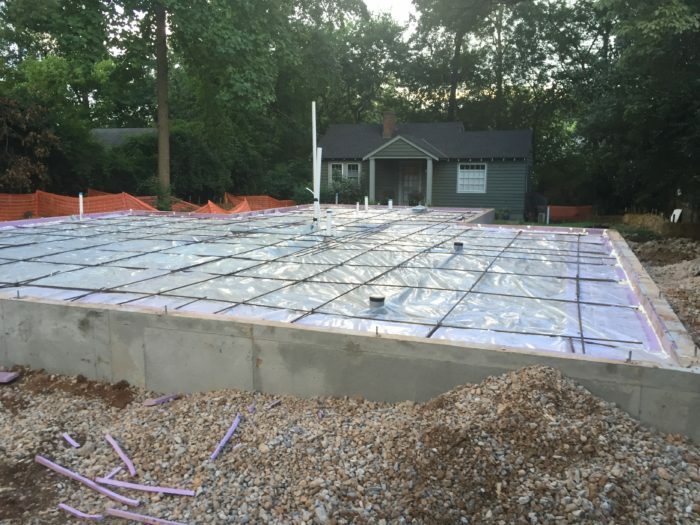 After the house is dried in, before flooring is installed, the balance of the slab will be covered with large sheets of the same materials, completing the installation. 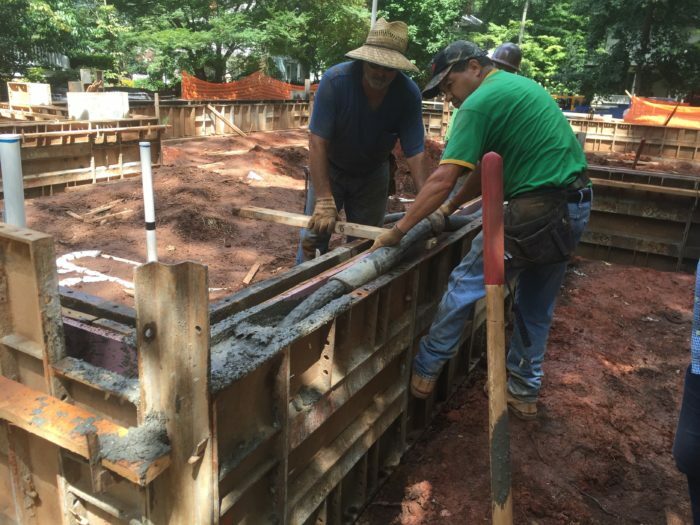 The carport slab was poured after the house foundation, leaving only some porch footings left to complete. As soon as we can get our first material drop, framing will get started. 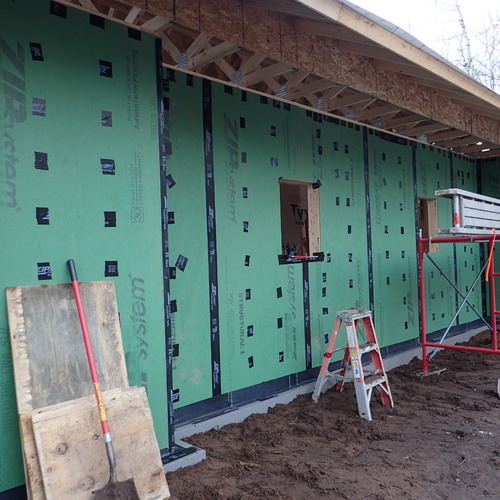 The house will incorporate advanced framing techniques including 2×6 exterior walls at 24 inches on center, with Zip R-3 exterior sheathing. 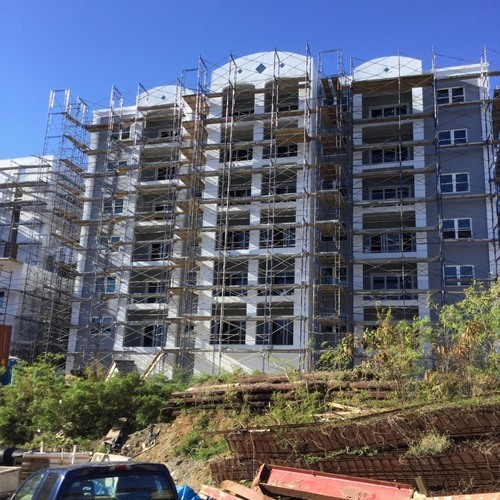 All headers will be right sized, corners will be 2-stud type with drywall clips, and non-load bearing walls will be 24 inches on center. 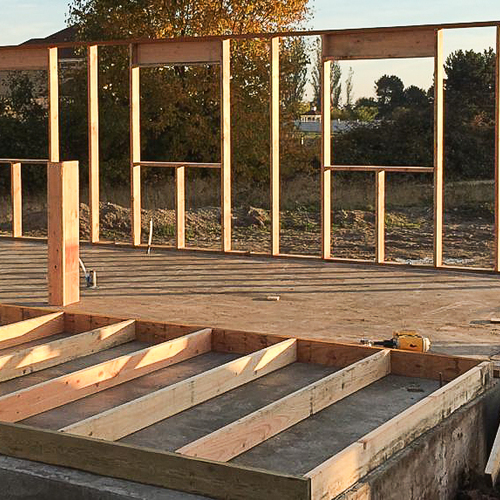 I-joists and parallel strand lumber beams will be used for some of the longer headers, and will also provide the structure for the second floor and part of the second-floor ceiling. While I am very much looking forward to going vertical, I am a bit concerned that the material drops will fill up my yard and make it again very challenging to get into and out of my house. I am also looking forward to the time-lapse video of the framing process. We are still working on the lighting and power plans, cabinet details, and finalizing my HVAC system. The HVAC system will include three Mitsubishi minisplit ductless wall-mounted heads — one in the main bedroom, one in the second-floor hallway — linked to a Panasonic exhaust fan that will circulate conditioned air to the two front bedrooms, as well as a single minisplit head on the main floor (which will get some help from an ERV circulating the air). Originally I was planning to use a single condenser for the three heads, but having had one of mine fail recently on my current house, I think I will probably use separate condensers for the first and second floors as a safety measure in case one of them goes out. One challenge has been locating the most appropriate porch floor material. 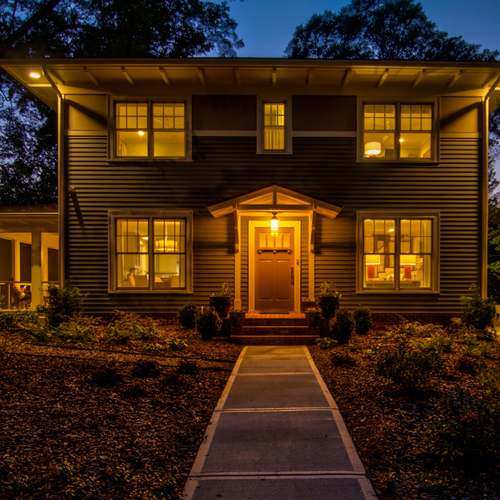 When I renovated my current house, I was able to use Perennial Wood, an acetylated product from Eastman Chemical. However, they not longer produce it, so I have had to look elsewhere. So far I have not been successful locating any thermally treated tongue-and-groove flooring. My fallback product will be KDAT — kiln dried after treatment pine — although I have heard that is becoming more difficult to procure these days. It seems that high quality, and usually higher cost, products have a hard time getting market share, particularly in the Atlanta area. I am planning to use Boral’s Tru Exterior for the siding and exterior trim. I just learned that they currently have no dealers in Georgia, but I’m sure we’ll figure that one out. Looks like it's coming along! Hopefully the weather will cooperate over the next couple of weeks with framing starting. I used the Harbor Gray color. The company shut down in January 2016. While its website is still up, there is no contact information. How thick was your slab at the edge? It looks like it was 3", if the wall was 4" high prior to putting in the insulation. If so, is this a problem? I am pouring this week (rain permitting) and want to make sure I do the right thing. Norman - the slab was close to 4" thick. The wall was about 30" high, filled with gravel. Let me know if you need any more info.